Wedding planning?! Where to even start? Sometimes these things can get a little overwhelming when you start to think of the many things you need to do? However, a few simple steps, and an easy guide will help you plan your wedding in a breeze! If you’ve got the type of personality that’s the go to organizer, your wedding wheels have probably already been turning since before you got engaged. Although with the many details and decisions you need to do, you may be wondering what comes first on your timeline? So best plan is to start your to do list by month to month, this will help you, so you can check off each tasks one by one! To help you get started, we’ve outlined a month-by-month wedding planning timeline that will keep you organized! Also, don’t forget to subscribe to our email list for a free Professional Wedding Timeline/Budget/Organizer Excel sheet! Click here for Wedding Dress Inspiration! ❒ Announcing your engagement! You’re engaged so share the news with all your friends and family/social media to of course! ❒ Start thinking budget, not full on but try to start getting a rough idea on what exactly you can afford. ❒ Start thinking about the size of wedding and how big or how small you want it to be. ❒ Pro Tip: Create a Pinterest Wedding board! Separate your ideas for different categories; examples: Wedding Dress Ideas, Wedding Table Centerpiece Ideas, Wedding Cake Ideas, and so on. Check out our pinterest here for ideas! ❒ Plan you Engagement Party to celebrate! ❒ Consider what month/date you want your wedding in! Check out these flower Inspirations here! ❒ Start doing your research and start touring wedding venues! (The popular locations dates fill fast, so don’t take your time on this if you have a set location in mind. ❒ Finalize your rough guest list and start reach out for mailing addresses. ❒ Determine whether you will use a wedding planner or not, if so decide on if you’re doing full service wedding planner, month of wedding planner, or day of Coordinator. ❒ Order or print your save-the-dates, then Mail out your Save the Dates! ❒ Consider hiring a wedding planner or same-day coordination help. ❒ Start shopping for your dress! Typical wedding dresses take couple weeks to months to ship, and alterations at least another month! So, it’s best to shop early! ❒ Book your wedding venue if you haven’t already! Figure out what your venue supplies and what you will need to take care! ❒ Start looking for caterers, photographer, Dessert Supplier, and florist! ❒ Start working on your wedding registry! ❒ Purchase your wedding dress. ❒ Brainstorm bridesmaid dresses and suits for your wedding party. ❒ Decide on color and theme for your wedding day aesthetic. ❒ Research music options (DJ, band, ceremony musician). Click image for wedding floral inspiration! ❒ Choose your wedding ceremony officiant. ❒ Reserve music vendors for your ceremony and reception. ❒ Book your photographer and videographer. ❒ Start thinking about honeymoon destinations. ❒ Start doing your cake tastings! ❒ Finish your wedding registry. ❒ Reserve an arch, chairs, tables, linens, and other furniture rentals or drapery needed for the ceremony or reception. Click this image for Wedding Invitation and stationery Inspiration! ❒ Review your guest list and decide if plus-ones and kids are welcome. ❒ Order your wedding invitations. ❒ Figure out who you’ll invite to the rehearsal dinner. Click image for a free Wedding Sample! ❒ Have your first dress fitting. ❒ Plan your bachelor/bachelorette parties. ❒ Book your rehearsal dinner restaurant or venue. ❒ Secure your day-of transportation to the wedding venue. Click Image for Personalized Tabletop & Namecard signs! Use Promo Code: SEEKINGSOLACE for an exclusive discount for our readers! ❒ Book a hotel room for getting ready before your wedding and your wedding night. ❒ Book your day-of hair stylist and makeup artist as well as hair and makeup “practice run” dates. ❒ Order your wedding cake and desserts! ❒ Create a song list for your rehearsal dinner and wedding day. ❒ Review the ceremony service with your officiant. ❒ Invite guests to the rehearsal dinner. ❒ Choose your rehearsal dinner outfit. ❒ Have your bridal shower. ❒ Buy a cake topper. ❒ Order bridesmaid dresses and groomsmen suits. ❒ Mail out your wedding invitations. ❒ Purchase accessories such as; ring holders, candles, baskets, etc..
Click Image for Personalized Backdrops & Signs! Use Promo Code: SEEKINGSOLACE for an exclusive discount for our readers! ❒ Purchase a guest book. ❒ Go to your second dress fitting. ❒ Purchase your wedding day shoes, jewelry, undergarments, and accessories. ❒ Plan toasts and speeches for the rehearsal dinner and wedding reception. ❒ Plan your first dances (bride-groom, father-daughter, mother-son). ❒ Confirm your final guest count with your caterer and other vendors. ❒ Create a seating plan. ❒ Apply for your marriage license. ❒ Review your wedding registry. ❒ Confirm toasts and wedding day timelines. ❒ Go to your final dress fitting. ❒ Finalize and send your song lists to each music vendor. ❒ Print name cards, table numbers, and dinner menus. ❒ Go out for your bachelor/bachelorette parties. ❒ Confirm your day-of transportation. ❒ Decide on the order of your wedding party processional and recessional. ❒ Confirm times and final details with all your wedding vendors and provide them with day-of contact phone numbers. ❒ Assemble your party favors and centerpieces. ❒ Pack all clothes, beauty products, wedding day decor, and other items needed for the big day. ❒ Pamper yourself, take a spa day! ❒ Collect and organize cash to tip each vendor. ❒ Get your marriage license. ❒ Deliver name cards, table numbers, menus, party favors, and decorations to the wedding venue. ❒ Have your wedding dress pressed or steamed. ❒ Confirm day-of arrival time with the wedding party. ❒ Try to relax! Breathe! Everything will work out according to plan! Hopefully this guide helps you on your way to a successful wedding! Let us know your thoughts in the comments below! Thanks for reading and supporting small bloggers! you make a difference, and we appreciate that! Here's our personal links to help you narrow down your search! 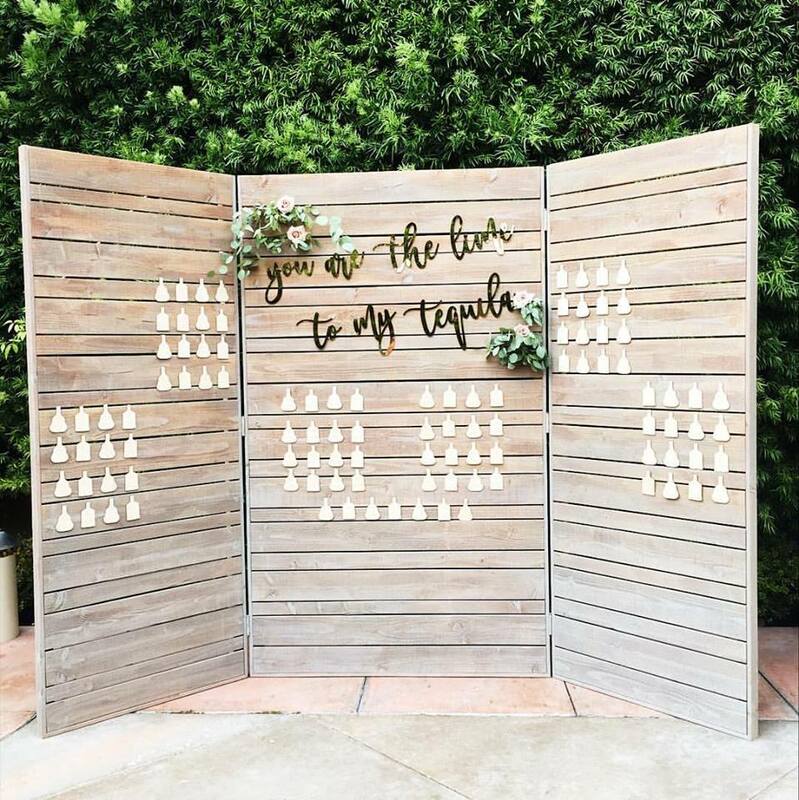 Wedding Backdrop,Tabletop, Namecard Signs: Happily Ever Etched (Personal Favorite used them for soooo much decor in my wedding! Also Use Promo Code: SEEKINGSOLACE for an exclusive discount just for our readers! ***Because I like to disclose any information with my readers! In order to support my ongoing blog I do use affiliate links, therefor by purchasing using any of my links I do get a small commission this in turn helps me to continue to find deals and keep my blog going. I always do my research on any of my affiliate links so that you always get the better deal! Subscribe below for Exclusive Wedding Updates! Sign up below and we’ll send you this checklist in printable form as well as our exclusive Wedding Timeline Budget for everything you need to plan your wedding! We respect your privacy. Don’t worry we won’t spam you, only send you the good stuff!